Half and full marathon in Missoula, Montana, in the city they call "The Garden City." Amazing participation by the entire town and county. Front lawn hose squads cool down the runners en route. Lots of rest stations. The full marathon is a Boston qualifier. Runner's World rated the course as one of the best overall road races. This race has the support of the community. Fireworks start the race. A personal photo at the finish. Instant print out of your time. Amazing food at the finish. Video camera cam that is shown on the local news. The feeling that you are important. The wonderful cheering of the residents as you make your way through town. 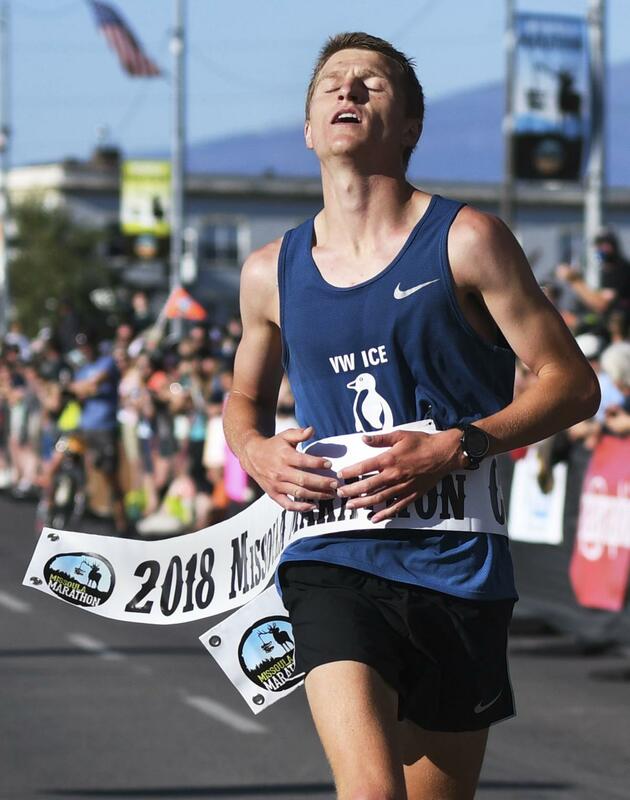 The Missoula Marathon course is flat, fast, USATF certified, and a Boston Qualifier! The marathon course does have a significant hill at the halfway point. 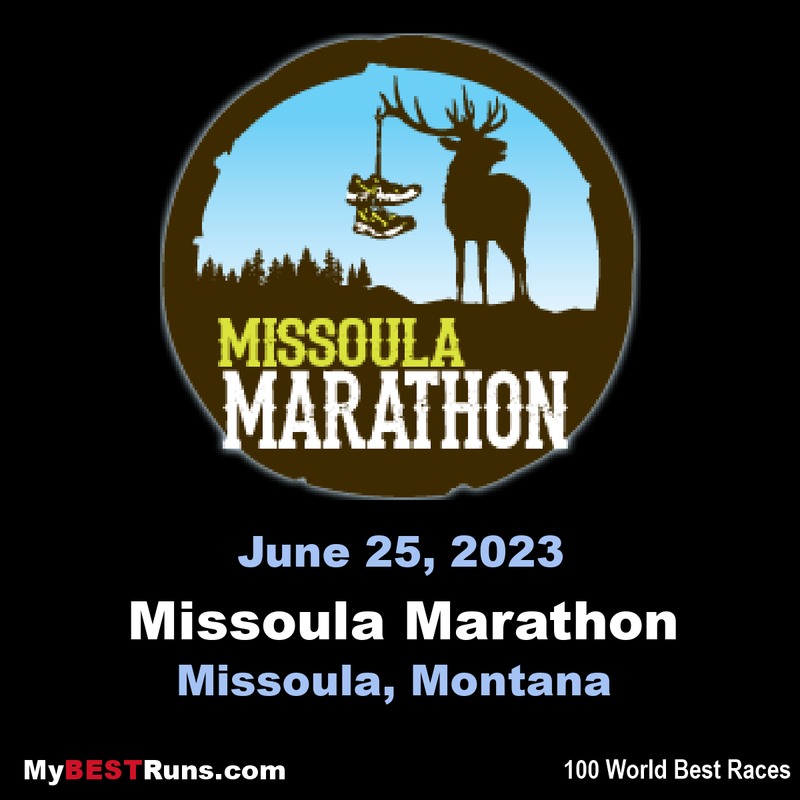 The course is a point-to-point, beginning with a scenic route through the countryside and finishing in historic downtown Missoula. The marathon course is well marked with both cones and arrows on the road. You will notice every mile is marked on the road and with 8ft tall mile markers.